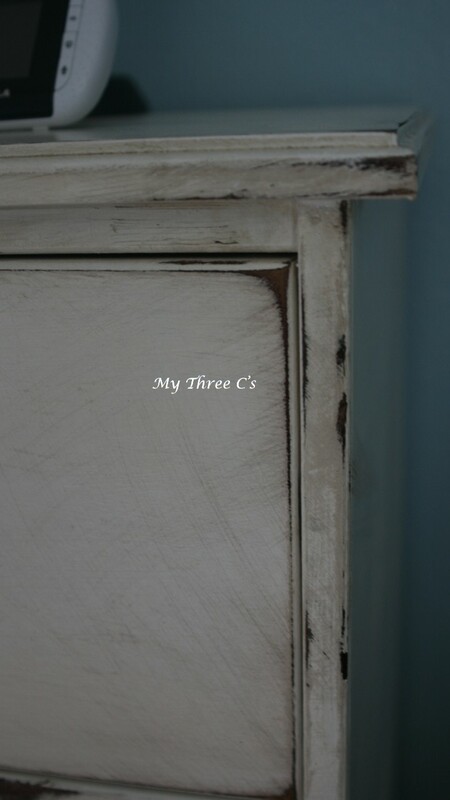 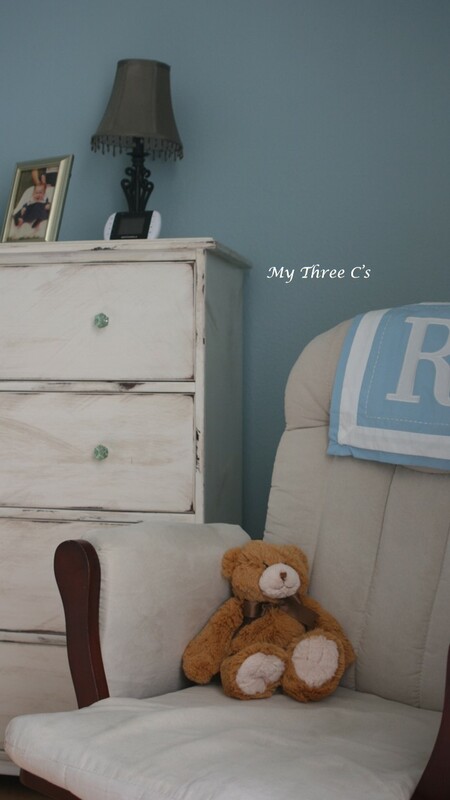 Crib, Dresser, Changing Table and Name Sign Refurbished by My Three C's. 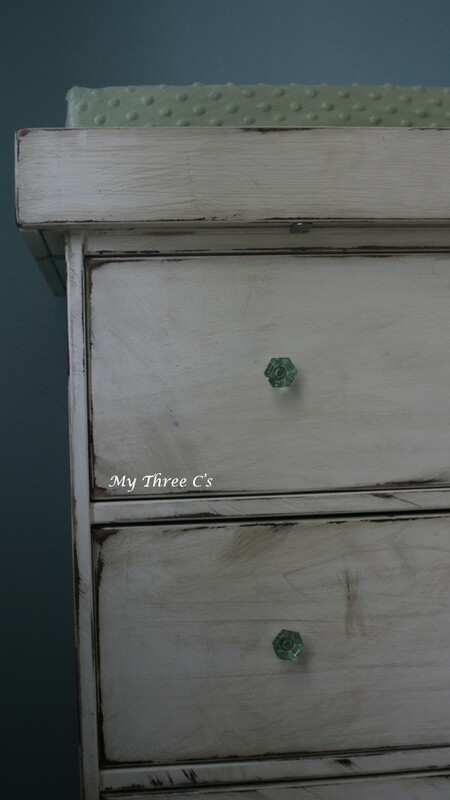 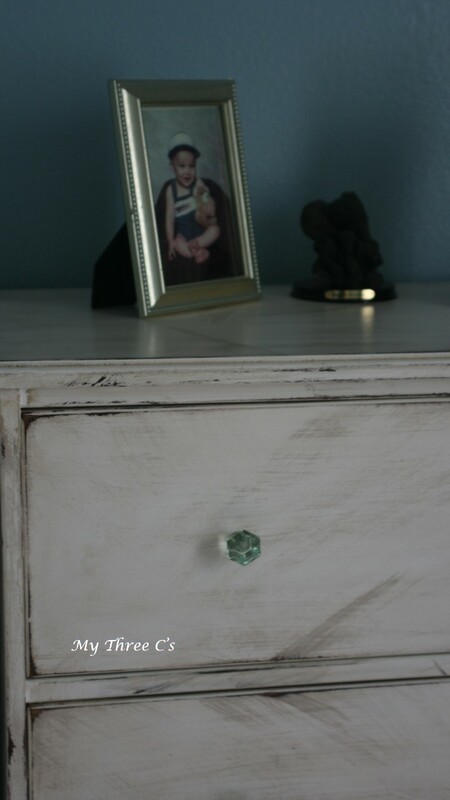 Distressed and Antiqued in Country White. 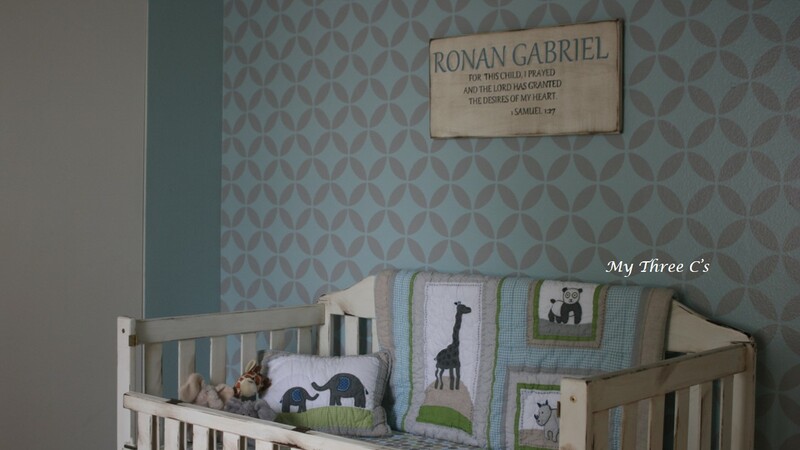 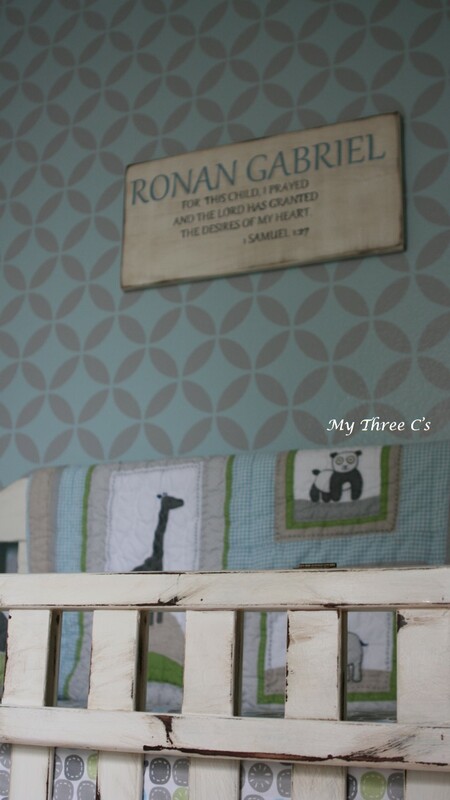 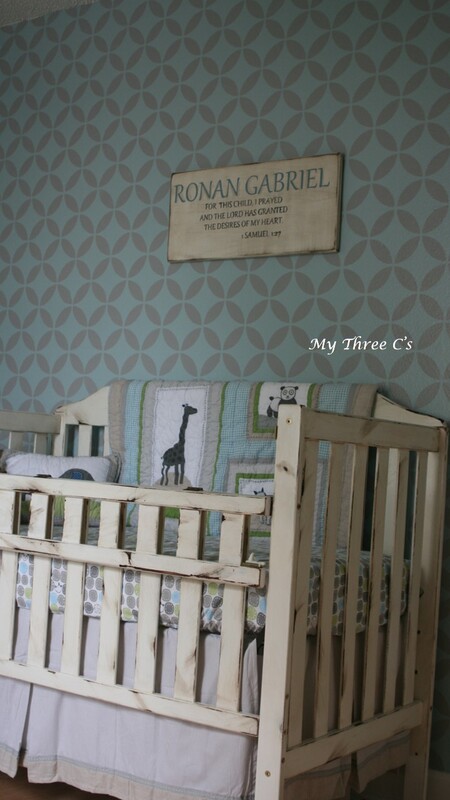 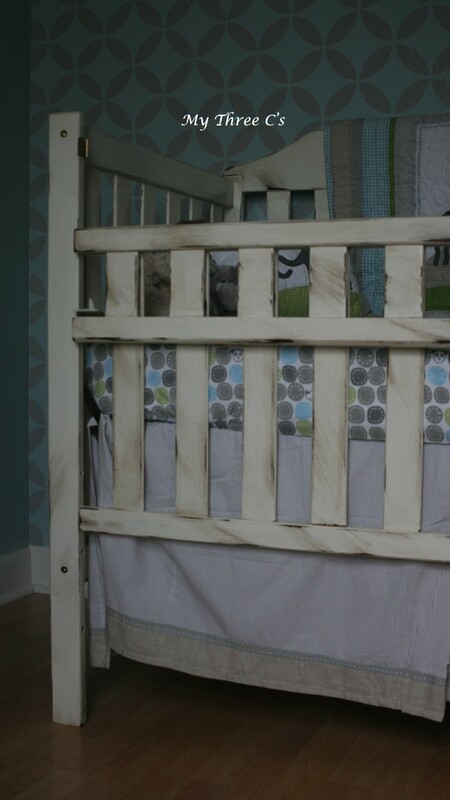 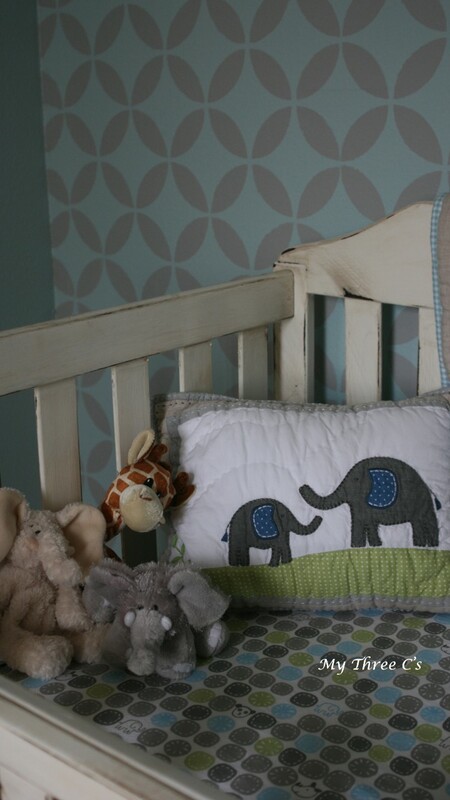 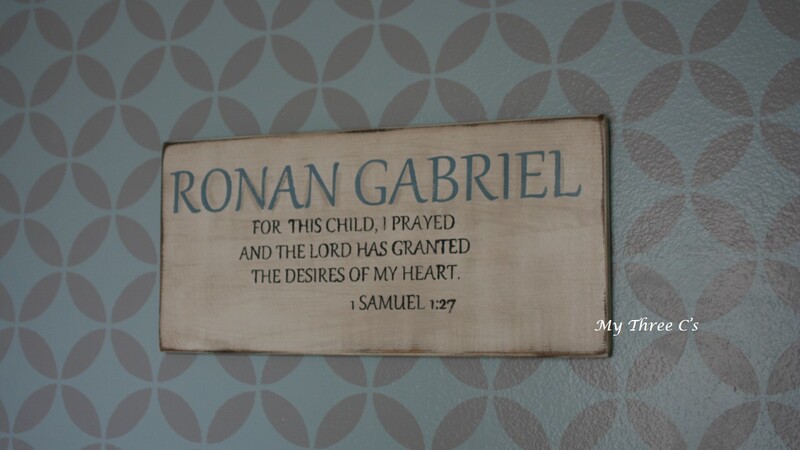 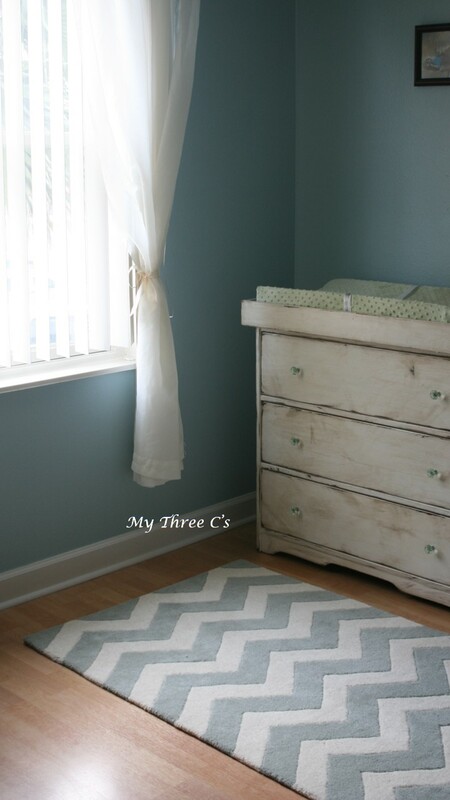 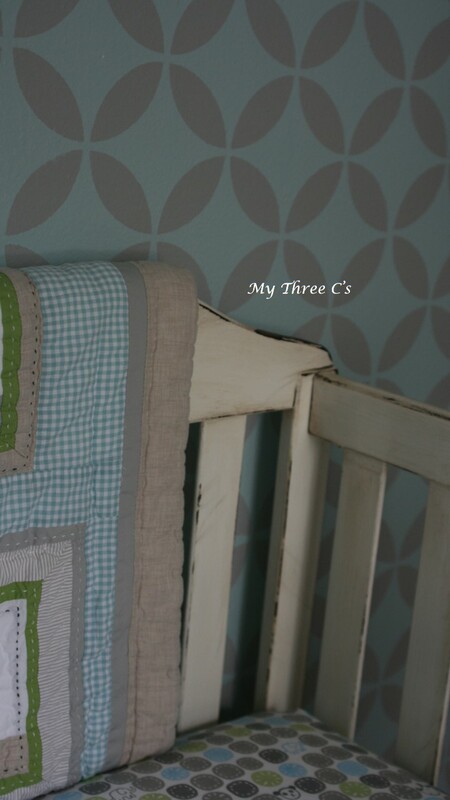 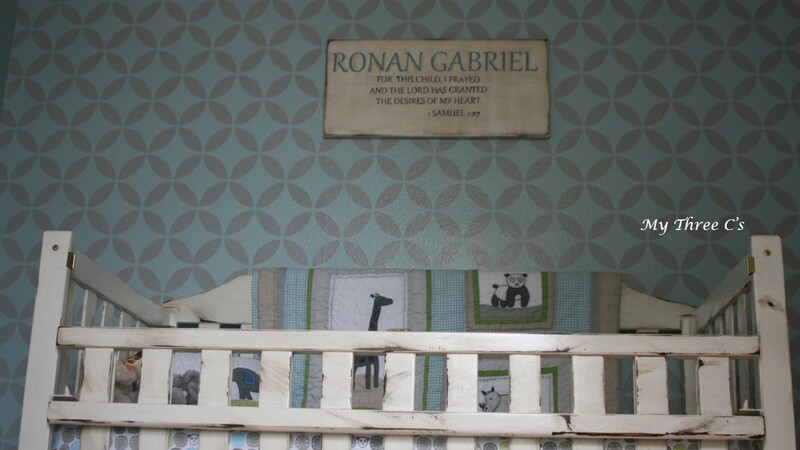 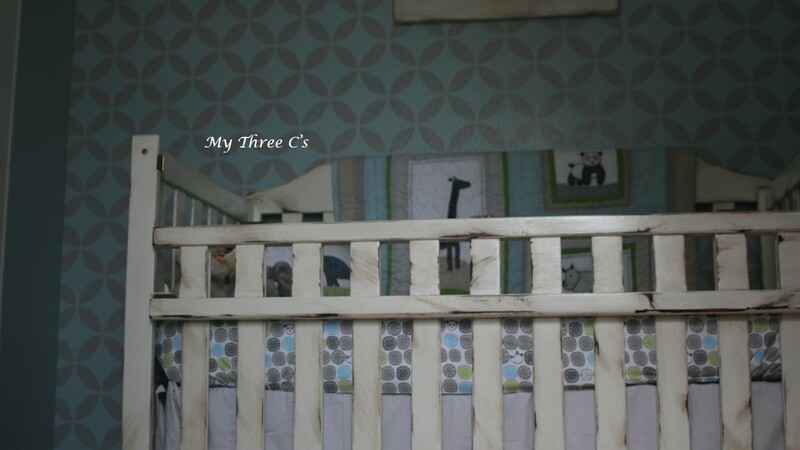 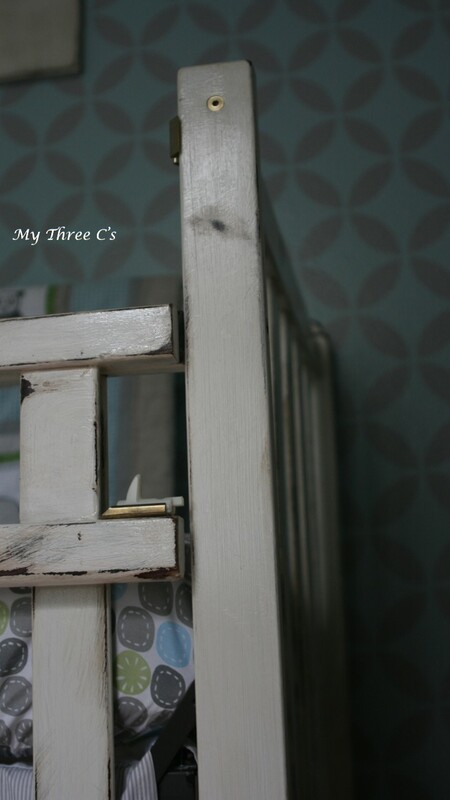 Nursery Photography done by me, as well!